← Keeping up with the Big Girls! I love it so far! That checkerboard border sure does jazz it up! 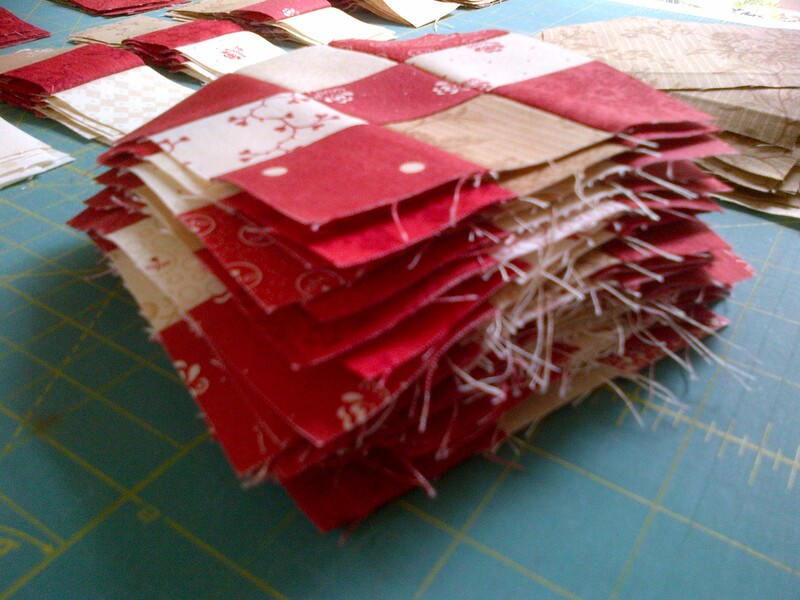 There are certainly a LOT of 9 patch units for sure in this quilt – but with the alternating plain squares – it is really easy to line up the blocks and match seams. I’m loving these colors though – puts me in the Christmas spirit! 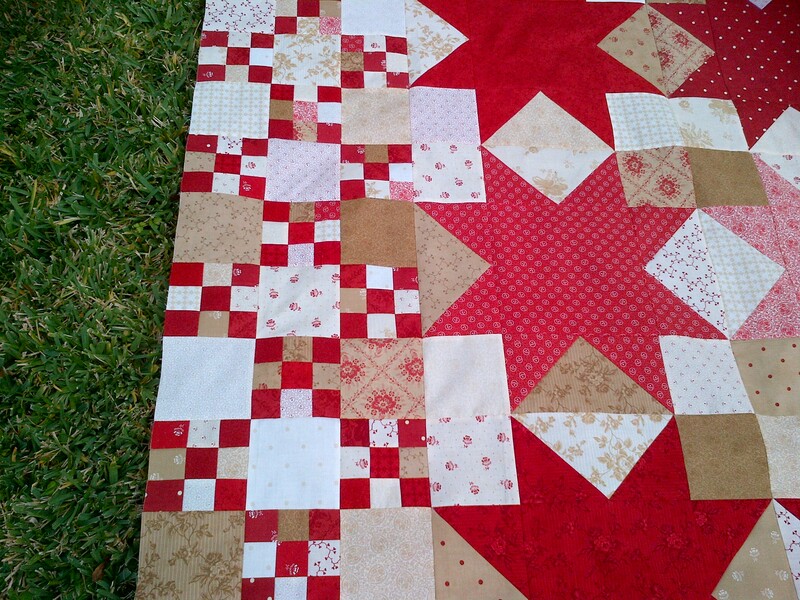 I had the same thought, about adding an inner border, but it would have to be a really wide border to get those blocks to fit in the outer pieced border. Did you want to add any little stars? I would be happy to send the directions if you’re interested. 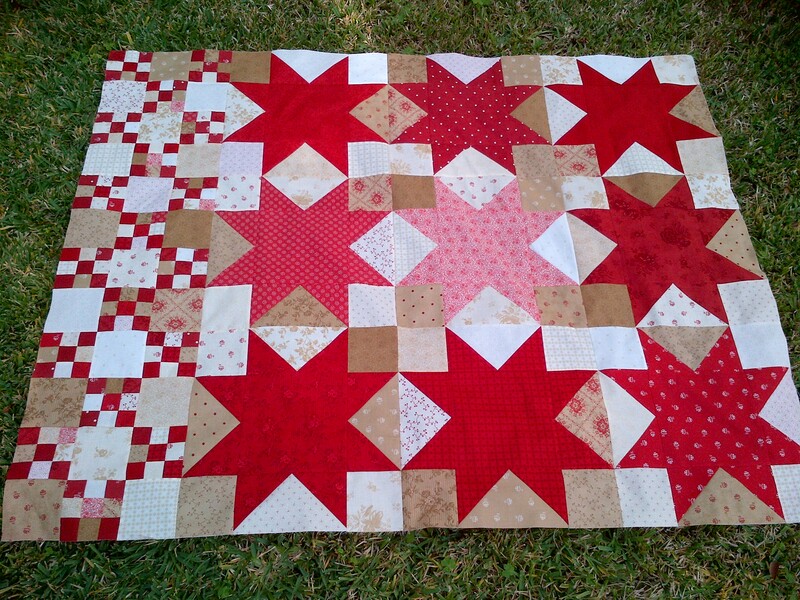 Thelma – I would LOVE to get your measurements for the tiny star blocks. 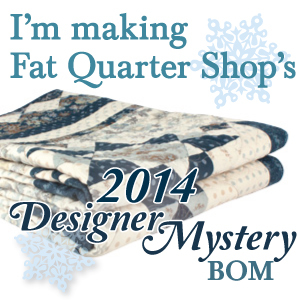 I will end up piecing a back for this quilt and it may look like a sampler when it is all said and done. I think some small stars would be a great addition. If you don’t mind sending them to me, you can reach me at jlgwyn@msn.com. Thanks! Yeah! I love the look of yours so far. I think it’s good without the inner border. 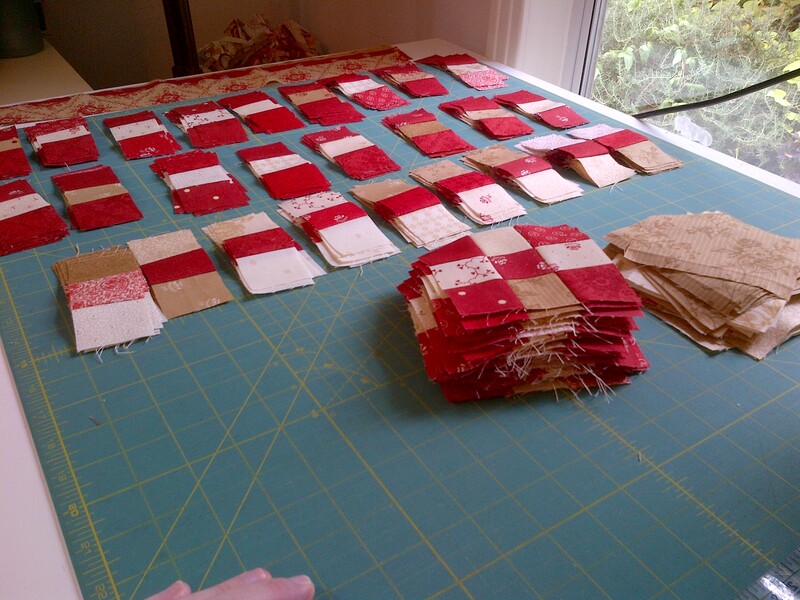 Your nine patches are beautiful… I like the photo of them all stacked on the cutting table. Looks like we could be finishing around the same time! OMG – you will need to see my next post. I am trying something different and I hope it plays out well. I’m almost done with my test border and then I can picture and post it. I look forward to hearing any responses on it. 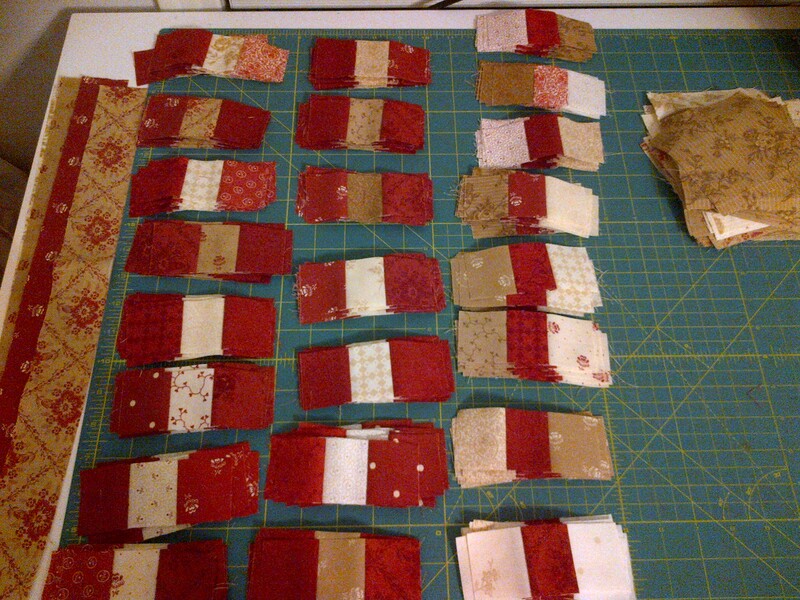 I am getting quite a bit better at my 9 patch construction and perfect seam allowance though! I think this would be a great quilt for your dad. What’s not to love? Yours is coming along nicely! It would be a great mans quilt. I think you’re Dad will love it. I really didn’t think of it as masculine when I started, but now – it does seem perfect for a guy. As perfect as a quilt can get without being covered in fish, animal, gun or car prints. It is coming together beautifully! 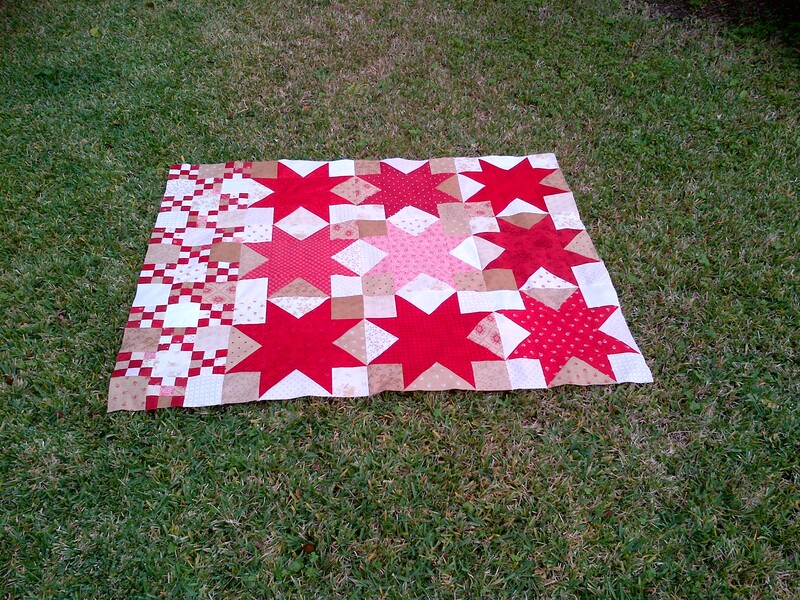 I bet this one wouldn’t be too hard to quilt in a diagonal pattern either. I may even be able to do it myself!